The RHS has gone for a shrub for the third year in succession and what a beauty! 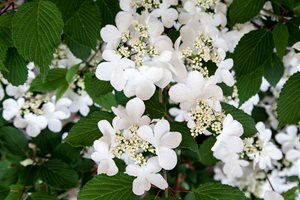 Viburnum plicatum f. tomentosum – Kilimanjaro Sunrise is a slow growing compact viburnum whose flowers have an appleblossom pink flush and young flowers becoming pure white as they mature. Well done to Burncoose Nurseries! 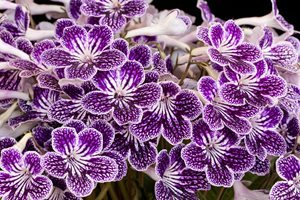 Pipped to the winning post was Dibleys Nurseries’ stunning Streptocarpus ‘Polka-Dot Purple’. A houseplant with striking white and purple flowers.